Just ordered a new mattress for the trundle bed in the guest room from a manufacturer that is about 2 miles away. I didn’t even know they made that kind of thing locally anymore. So I placed the order this morning, and it will be constructed and delivered this afternoon. Sweet! 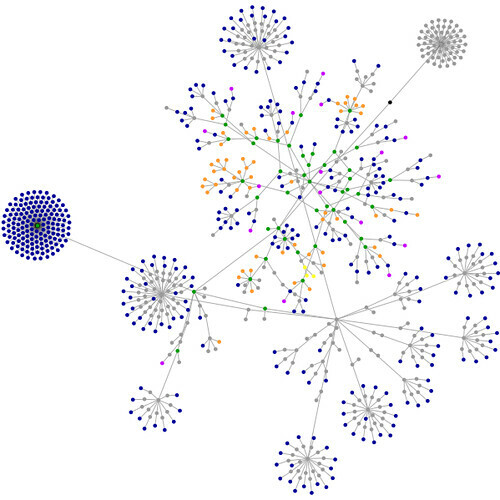 Neat visualization of the source code for a website, originally uploaded by gserafini. If you need some tuckpointing or stone masonry repair work done in the St. Louis area, I recommend you contact Percy Griffin at (314) 353-7620. He’s been doing work on our house, and has been doing a really nice job of filling the holes and cracks in our foundation and brickwork. He’s been going through some tough times lately in the financial department, so he’s eager for work and willing to offer very good rates on expert level stonemasonry / bricklaying / repair / tuckpointing work. He can also do plumbing or electrical work. I’ve had this domain name for a while and finally built something on it. The idea is to figure out good ways to save money on car insurance. We have USAA for ours, which makes it nice because it is a pretty good rate. 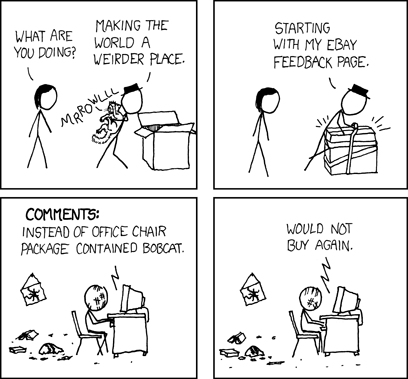 Some people need extra help, though, to find the best prices. Hopefully this site will assist them in their search. It is built using WordPress, and will hopefully pay for itself through the Google Adsense ads. I’ve been helping Benton Consulting work on the new design for the I Live Inspired website (now launched) and came across this story about the founders who have decided to walk 100 miles across the state of Indiana for a chance to meet the Dalai Lama. Their service is pretty cool, it delivers inspirational text messages each day to your cell phone. I hope they accomplish their goal of getting a meeting and that it goes well. Having messages come directly from the Dalai Lama each day to your phone could be pretty amazing. Simply brilliant. The heartiest laugh I’ve had in quite a while. ZOMG ROFL. 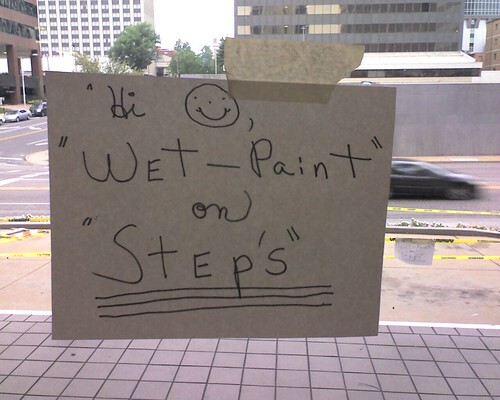 "Wet-Paint" on "Step’s", originally uploaded by gserafini. Glad we got that covered.